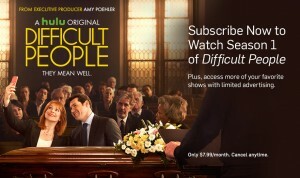 The 33rd Annual PaleyFest Event has announced that Hulu series Difficult People will join its lineup. Paleyfest which runs from March 11-20 will be held at The Dolby Theatre has added Difficult People to its lineup which includes FOX’s Empire; AMC’s Better Call Saul; FOX’s Scream Queens;ABC’s black-ish; CBS’s Supergirl; ABC’s Scandal; CBS’s The Big Bang Theory; AMC’s Fear The Walking Dead. 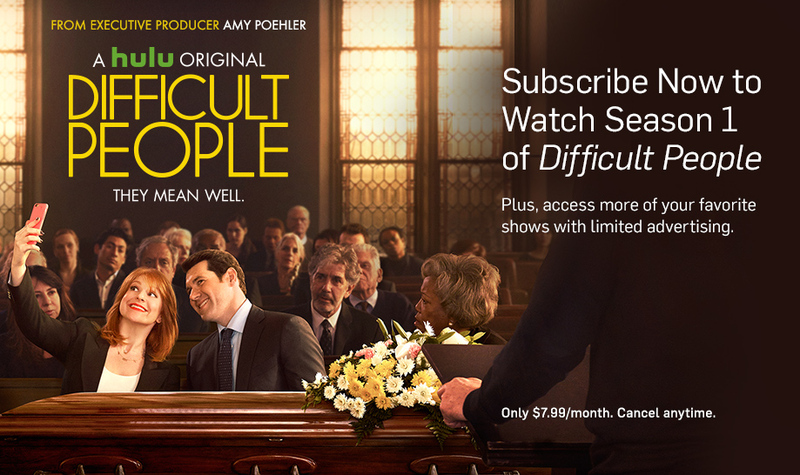 Representing Difficult People will be Creator/Writer/Executive Producer and Star Julie Klausner, along with stars Billy Eichner, Andrea Martin, James Urbaniak, Cole Escola, and Executive Producer/Showrunner Scott King. The Difficult People panel will be held on March 18th at the Dolby Theater in LA. Tickets can be purchased on paleyfest.org.